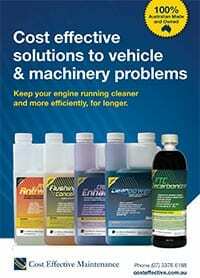 Rust Conqueror UV is a powerful rust penetrating, moisture repelling clear varnish like coating. It penetrates the rust layers while impregnating the underlying metal surfaces, creating a 99% pore free isolating film. It embeds rust in its substance and bonds the rust back to the surface. 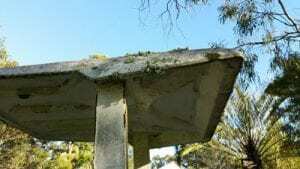 It will stop further under film corrosion. 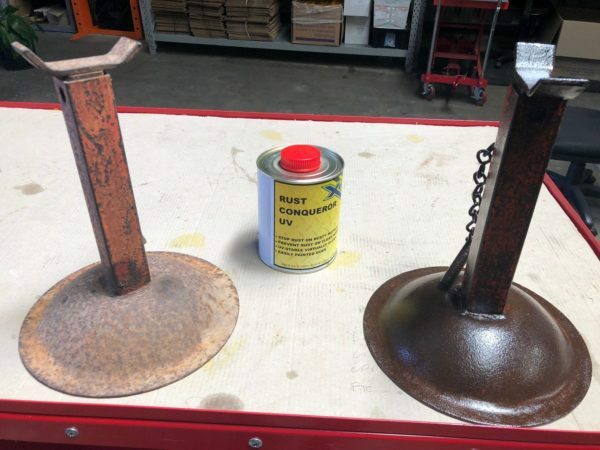 Rust Conqueror UV has exceptionally high penetration ability to migrate into seams, as well as encapsulating existing rust, isolating it from the atmosphere, and bonding it back to the metal surface. 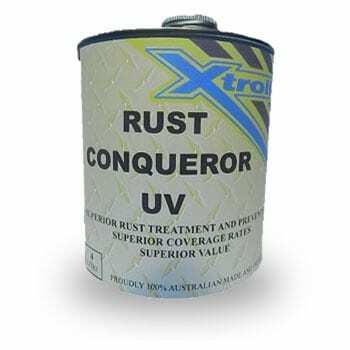 XTROLL Rust Conqueror UV stops existing rust AND prevents further rust in all light, medium and heavy vehicles, trailers, fixed plant, buildings, wash areas, coal prep plants, etc. XTROLL Rust Conqueror UV is a powerful rust penetrating, moisture repelling clear varnish like coating. It penetrates the rust layers while impregnating the underlying metal surfaces, creating a 99% pore free isolating film. It embeds rust in its substance and bonds the rust back to the surface. It will stop further under film corrosion. Xtroll Rust Conqueror UV has exceptionally high penetration ability to migrate into seams, as well as encapsulating existing rust, isolating it from the atmosphere, and bonding it back to the metal surface. It dries to a hard wearing varnish like finish, that is dry (non-tacky), and flexible. 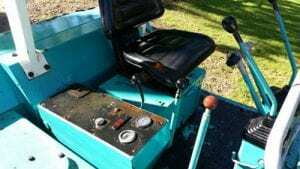 After removing heaps of leaf litter and pressure cleaning it was ready to see what Xtroll could do. XTROLL Rust Conqueror UV is simple to apply. Remove loose scale and apply to rusted areas. When the rusted area retains a gloss look, they are correctly treated. A matt look requires further Xtroll to fully seal and encapsulate the rust. Apply coats wet on wet until the gloss look is achieved. The badly oxidized paint takes on a rejuvenated look with the UV stable Xtroll coating. And that gloss finish is easy to keep clean. 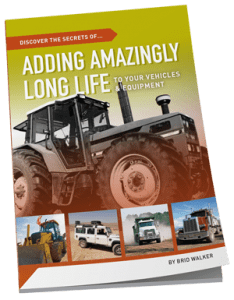 Ideal for earthmovers & farm equipment…especially cane harvestors!! 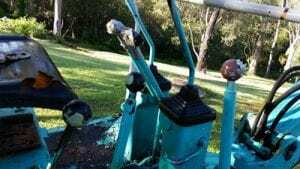 Our Xtroll demonstration was conducted on an old Komatsu Excavator that had been parked under a gum tree for 12 years, and had accumulated severe rust, oxidation and weathering as a result. After removing heaps of leaf litter and pressure cleaning it was ready to see what Xtroll could do. Xtroll is simple to apply. 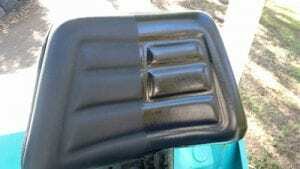 Remove loose scale and apply to rusted areas. When the rusted area retains a gloss look, they are correctly treated. A matt look requires further Xtroll to fully seal and encapsulate the rust. Apply coats wet on wet until the gloss look is achieved. 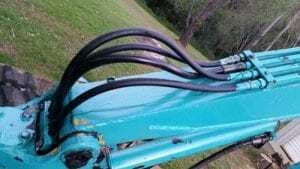 Bare metal, painted surfaces, weathered lever knobs and heavy advanced rust all protected with Xtroll… These hydraulic hoses were grey due to the UV exposure. Now they take on a fresh & UV protected look with a coat of Xtroll. How good is the penetration? A demonstration was given on a rusty trawler deck by treating a 1m square area by brush, using a wet on wet application technique every 5 minutes as the treatment would disappear into the ¾” steel deck. While this was underway, they were told that it was dripping into the cabin below! To stop complete penetration, they applied to the underside of the deck first, and allowed to dry for 24 hrs. Then it was applied wet on wet to the surface to avoid dripping through. 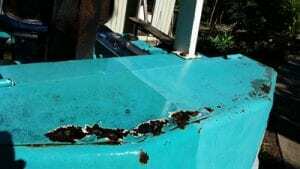 They used about 1L per sq metre on the almost fully rusted deck!! On lightly rusted surfaces, coverage is about 25-30sq m/L.